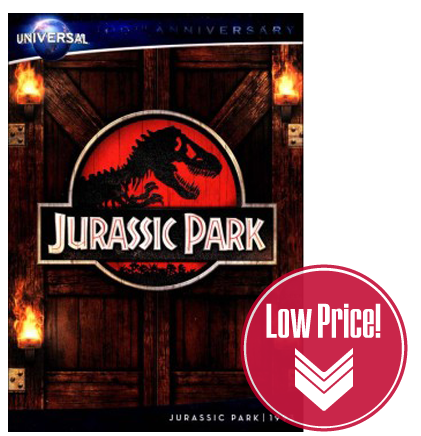 Clipping Chix: Best Buy: Jurassic Park DVD only $2.99 Shipped! Gift alert! For a limited time, Jurassic Park DVD is on sale for only $2.99 at Best Buy—originally $9.99! This is the LOWEST price we’ve seen on this movie! Want Blu-ray? That’s also available for the lowest price of just $4.99—originally $16.99! What a great gift for those who LOVE Jurassic World. Complete your collection with this fan-favorite movie! Rated PG-13; save $7.00 and, for a limited time, score free shipping when you purchase now!